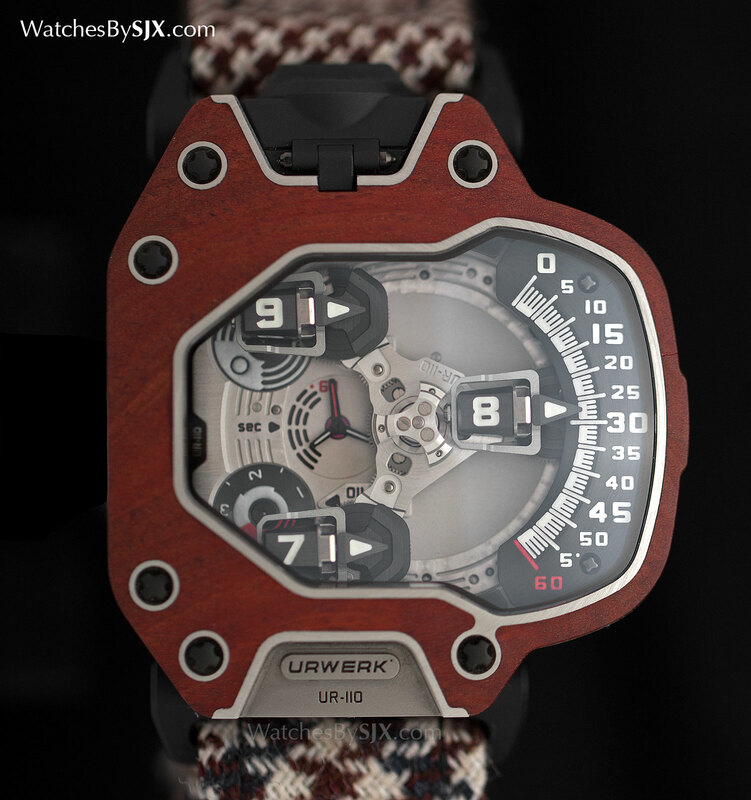 Exotic woods replace metal in the Urwerk UR-110 Eastwood, the final run of the UR-110, with Macassar ebony or red ebony carefully machined to form the front plate. Certain woods can be nearly as hard as metal, making them exceptionally hard to machine. 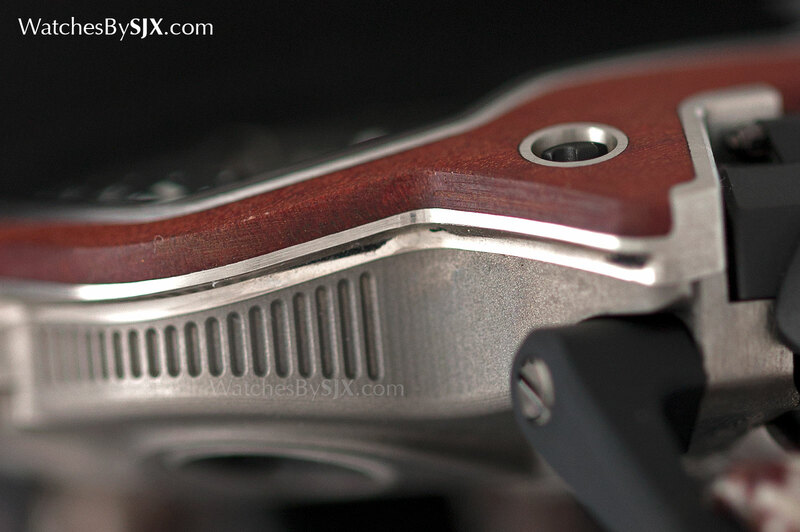 Historically Urwerk‘s prowess has been in machining exceptionally complex case forms (the 103, 201 and Opus V were groundbreaking in their day) in metal, a skill that has now been applied to wood for the first time. 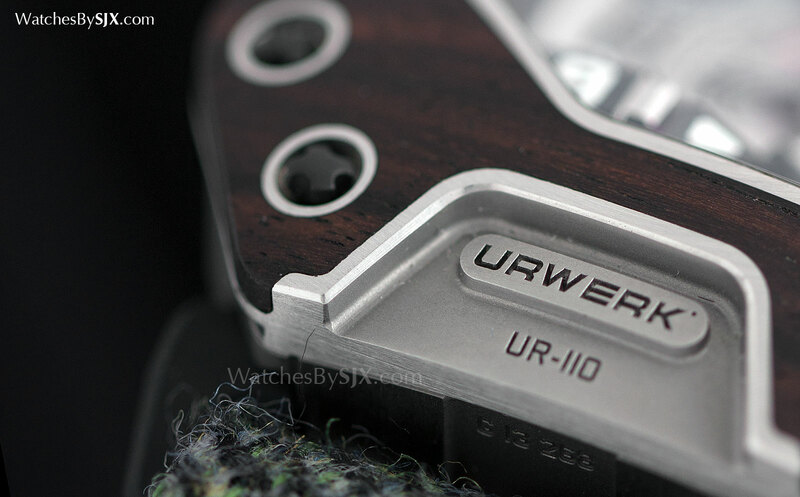 Instead of the conventional steel or platinum, the front plate of the UR-110 Eastwood is made of hard wood, either Macassar ebony or red ebony. 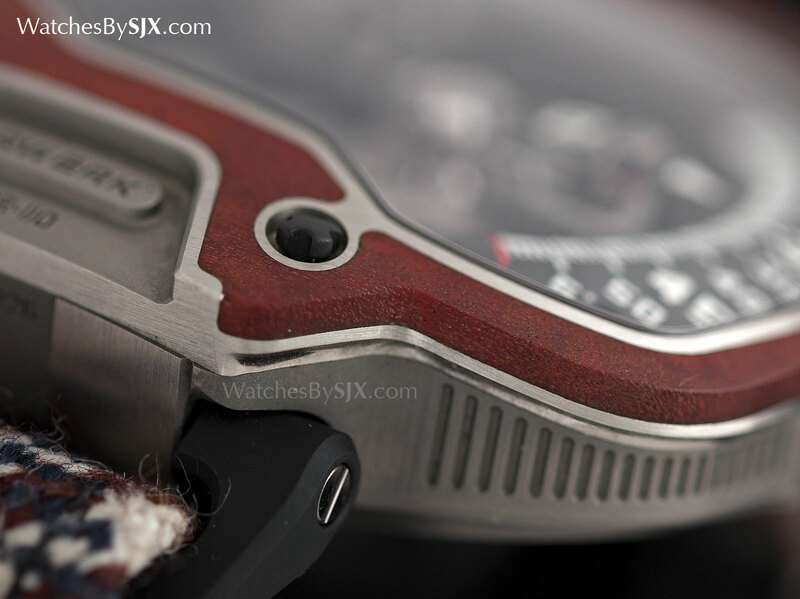 Ebony is amongst the hardest wood species in the world, nearly three times harder than teak. 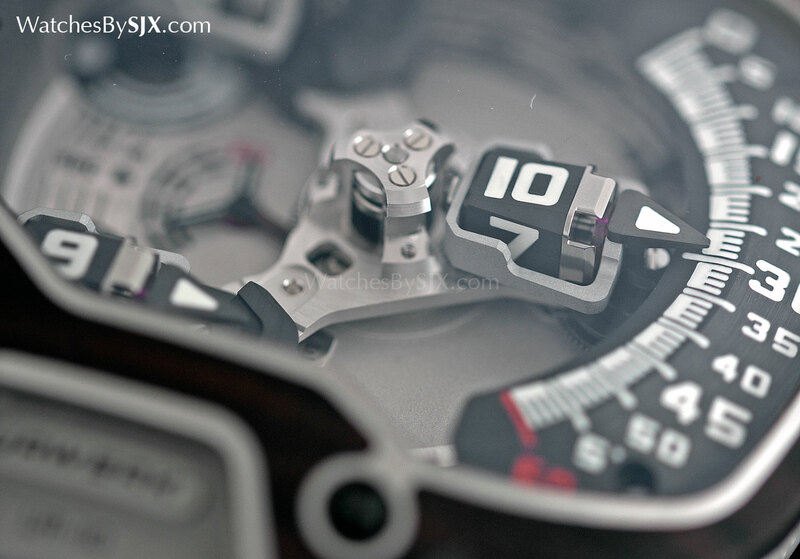 Machining the front plates of the UR-110 Eastwood wore out the drill bits as rapidly as machining steel, according to Urwerk co-founder Felix Baumgartner. 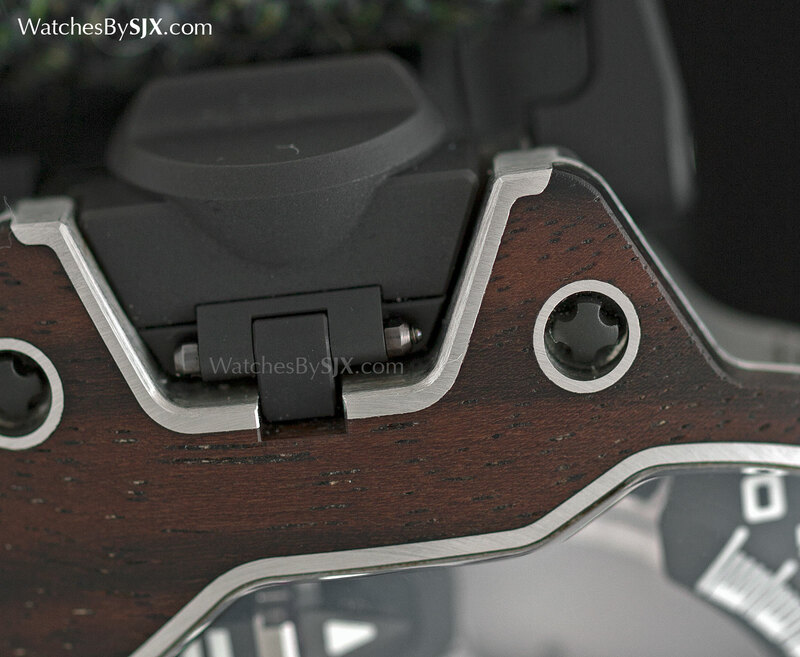 Particularly challenging were the finer details of the front plates, to ensure a perfect fit with the metal frame below, leaving absolutely no gaps between the metal borders and the ebony. The ebony is so precisely machined that no only is it seamless with the metal frame, it curves to fit the front plate perfectly. 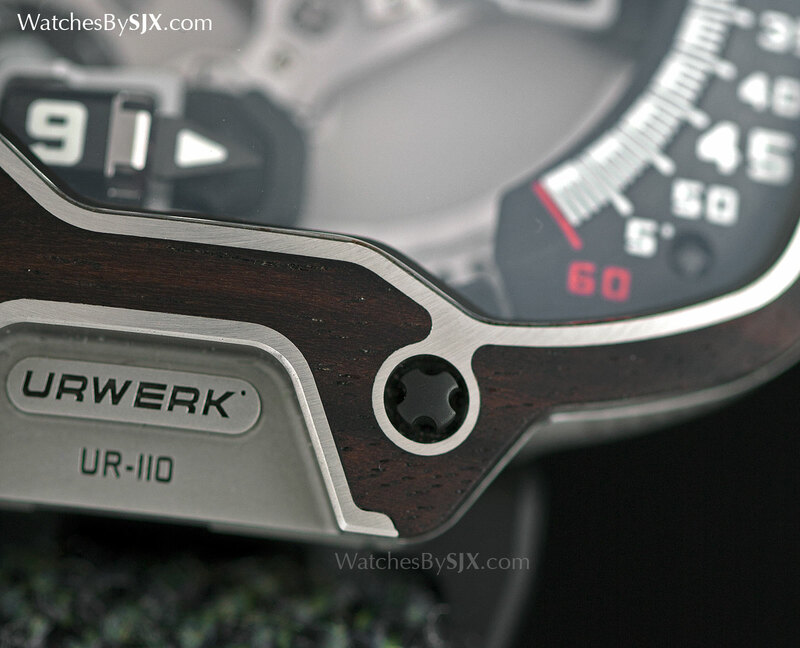 The UR-110 Eastwood is available in Macassar ebony, a dark brown wood with black striations. 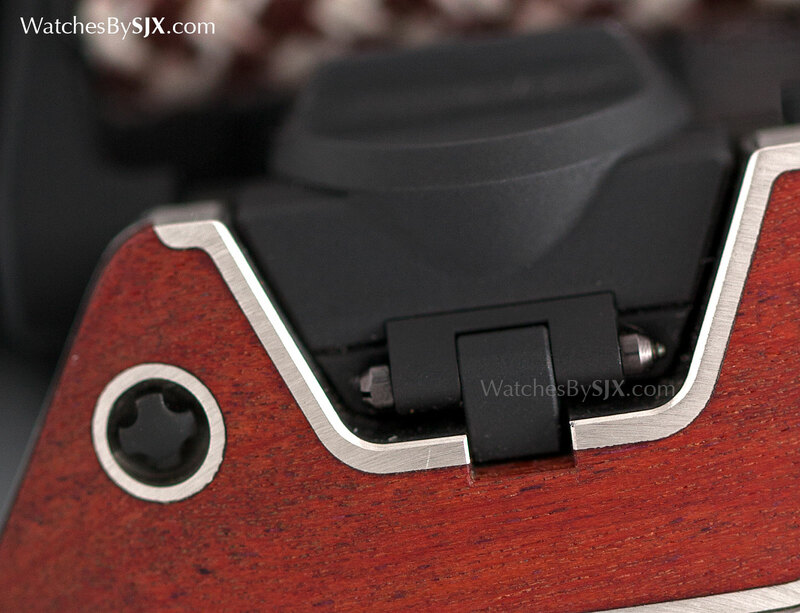 And also in red ebony, which has a brighter tone that is slightly orange. 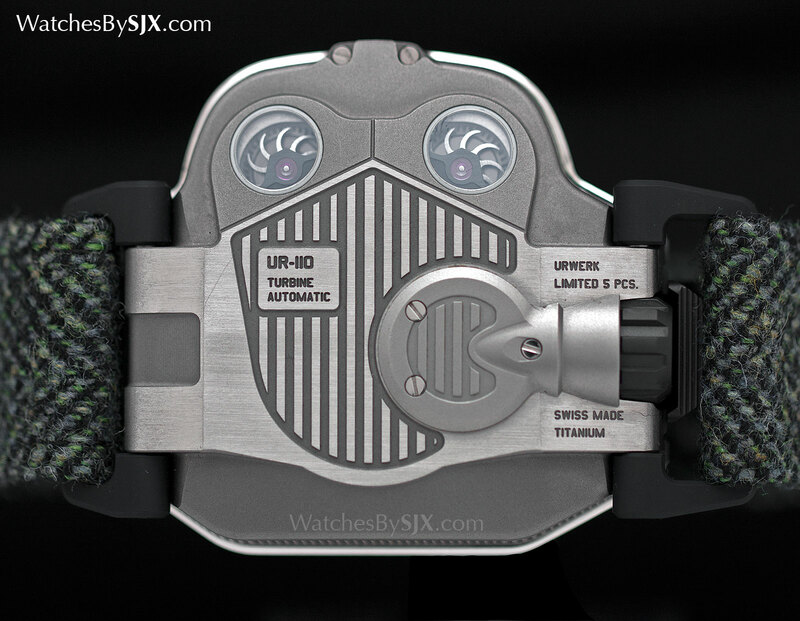 Also a first for Urwerk is the strap attachment. Essentially a pair of metal loops, one on each side of the case, the lugs allow for a canvas band to be used and easily swapped out. The UR-110 Eastwood is supplied with a pair of wool tweed strap made by Timothy Everest, a bespoke tailor based in London who brought fashion to Savile Row tradition, who is also an Urwerk client. 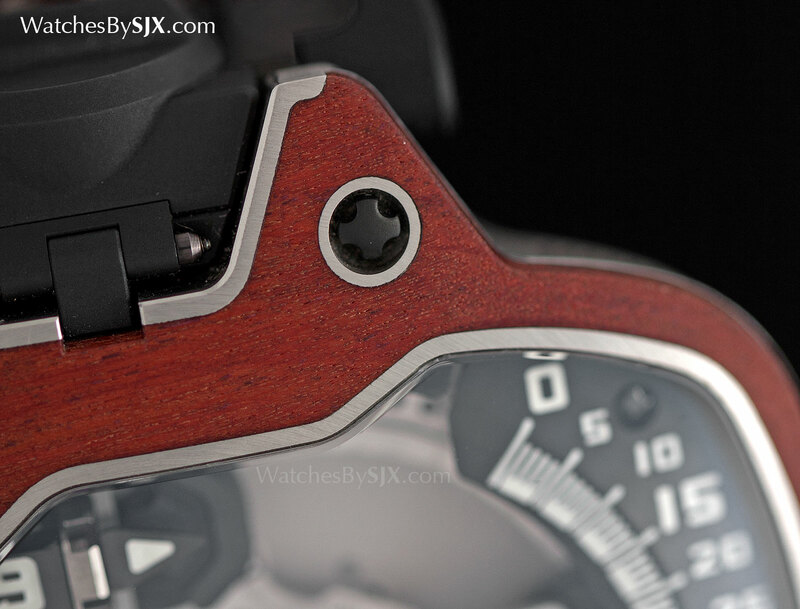 The rest of the watch is identical to the typical UR-110, with a case in titanium that measures 47 mm in diameter and 51 mm long. 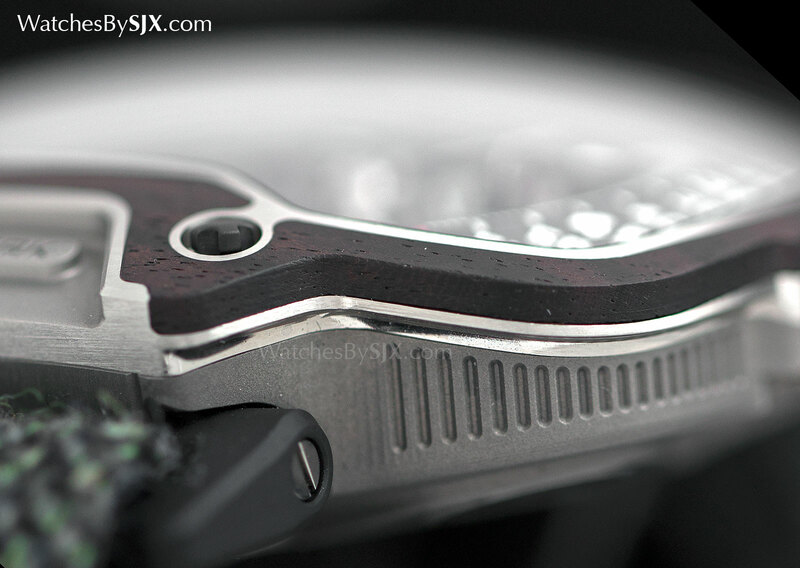 Two winding turbines are visible on the rear of the case. 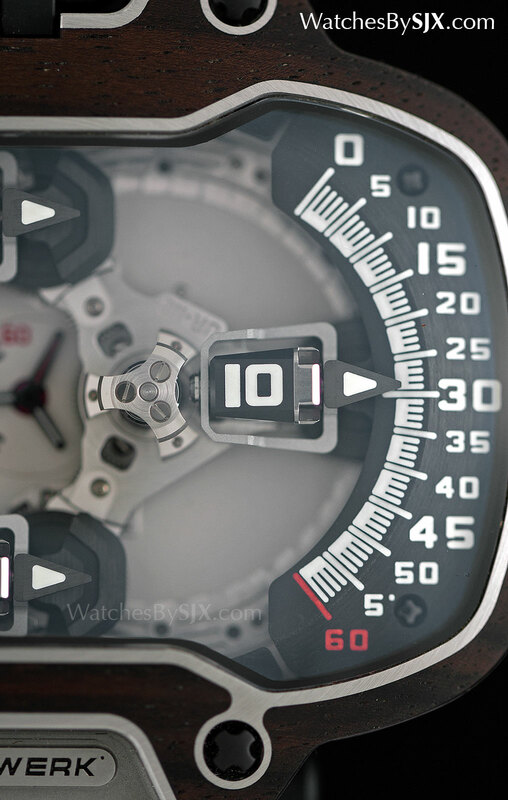 And the time is displayed is displayed with rotating cubes for the hours, with the minutes on a scale on the right edge of the case. 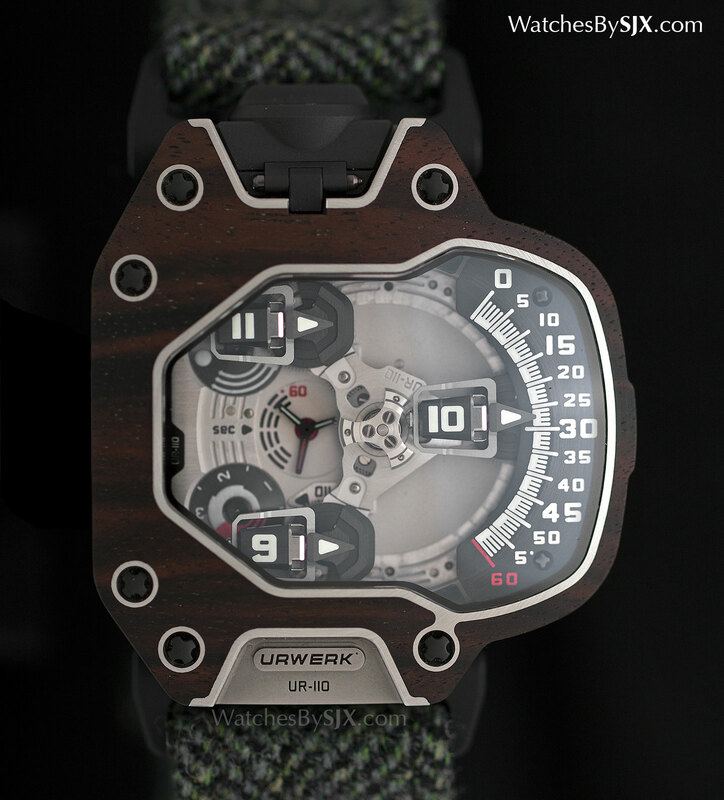 The Urwerk UR-110 Eastwood is limited to five pieces in each wood with a price of 105,000 Swiss francs before taxes.